Want To Show Your Pup Just How Loved They Are? Get Them A Pack & Den From Santa! if your dog hates his bed? We may not be poets, but we know dogs. And we know that a good night’s rest on the night before Christmas or any other night is essential to the health, happiness, and well-being of your pup! Because good sleep is so important, iHeartDogs trusts PACK&DEN to get dogs comfortably into Dreamland. 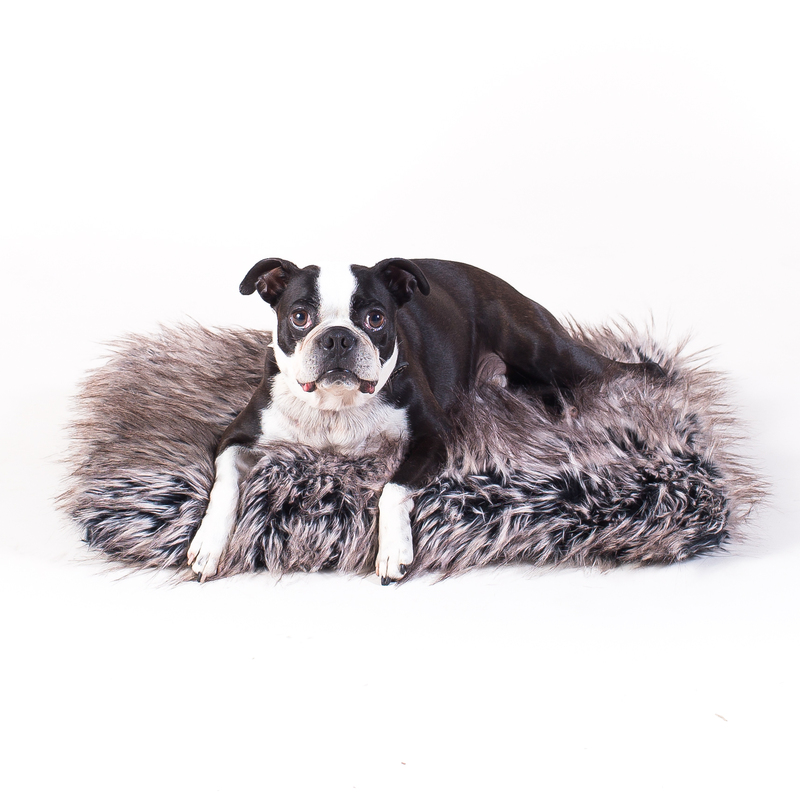 When you kiss your pup goodnight, why not tuck him into the most comfortable dog bed you can? Whether he’s dreaming of sugarplums or dinnerguests slipping him food from the table, PACK&DEN has just the thing for him! PACK&DEN Memory Foam Bed comes in both large and small sizes to accomodate any dog comfortably, but especially senior dogs. The memory foam provides a soft place for your dog to rest, while giving his body, and especially his joints, the support they need. It also makes it easier to get up or lie down than it would be on a bed with stuffing that shifts. Without “walls” to step over, it gives your dog easy access both in and out and is ideal for dogs who suffer from mobility issues, or pain associated with arthritis. Tuck your small pup into a PACK&DEN Paw Heart Mini Dog Bed Set. It includes a soft cushion, pillow, and a warm blanket to snuggle under. With it’s own little pillow and soft, fuzzy sides, your pup will feel just like he’s sleeping with his littermates again, cozy and cuddled. 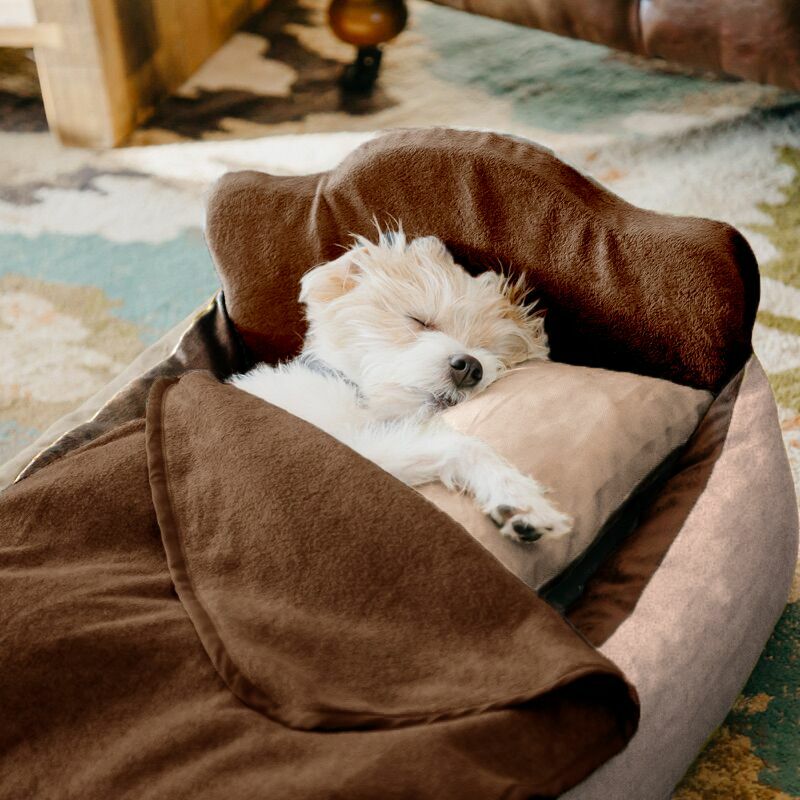 How cute will your small pup look sleeping in a little bed just his size?! Dogs have a strong sense of smell, and the smell he loves most in the whole world is yours! If you find your dog snuggled up in your laundry basket, or if he prefers to sleep on you instead of next to you, consider the PACK&DEN Stuffable Bed. It’s a new way to store your laundry while waiting for the wash! You can also fill it with old pillows you’ve used, or a blanket you love and let your dog enjoy the comforting scent of you no matter where you are. Some dogs just live for the couch. 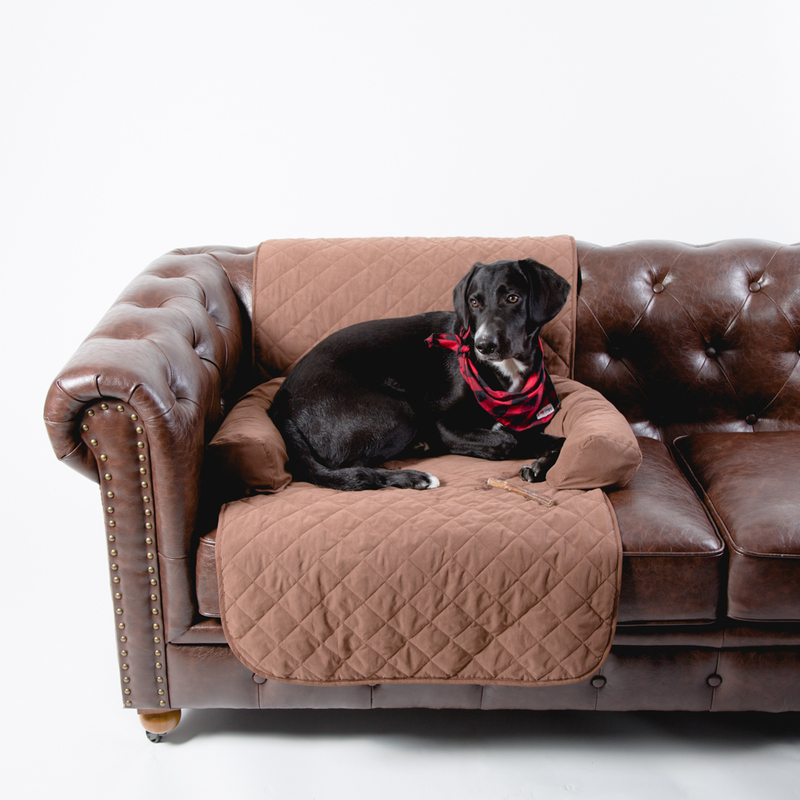 Keep your upholstery clean and odor free by offering your dog a PACK&DEN Quilted Couch Cover. Unlike your couch, it’s machine washable and has a hidden pouch that traps odors. 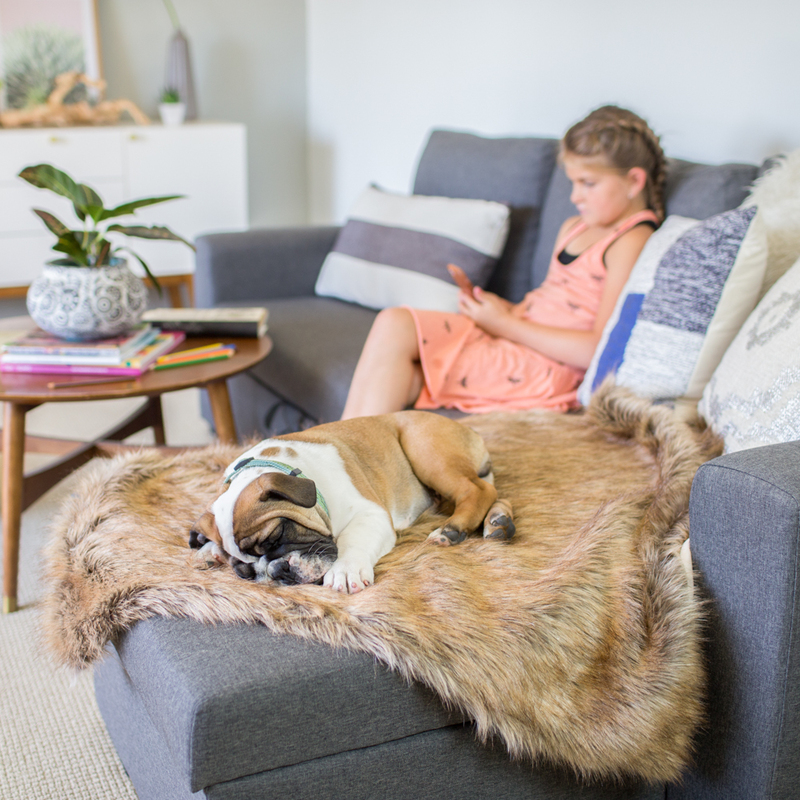 You’ll still be able to cuddle your couch potato while binge watching your favorite shows together, but you’ll keep the fur in one, easy-to-wash place! And when the warmer months come again, be ready. 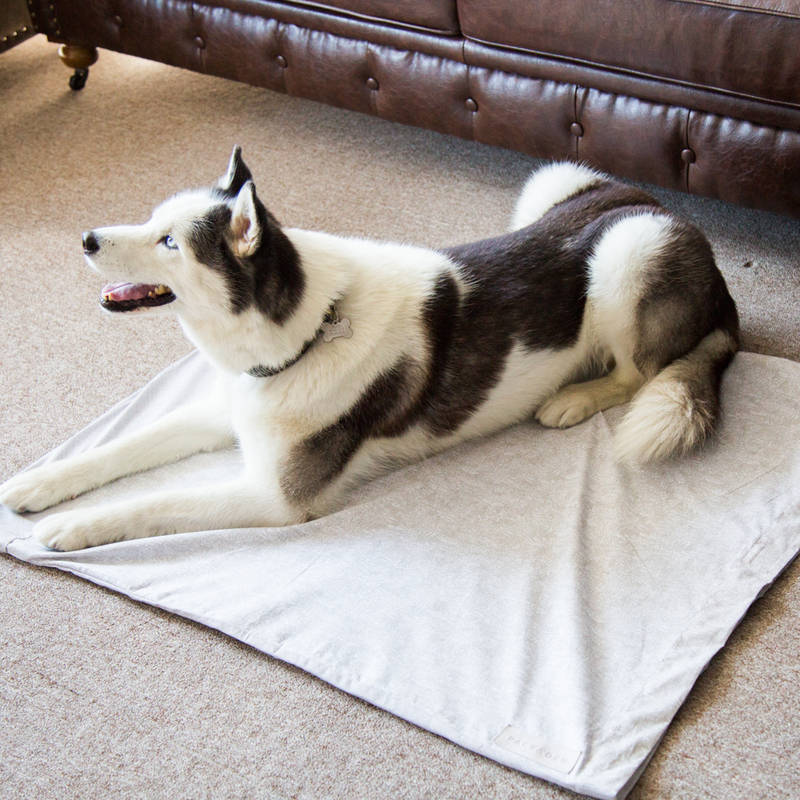 PACK&DEN offers a nice, cool spot in it’s Cool Sand Cooling Pad. 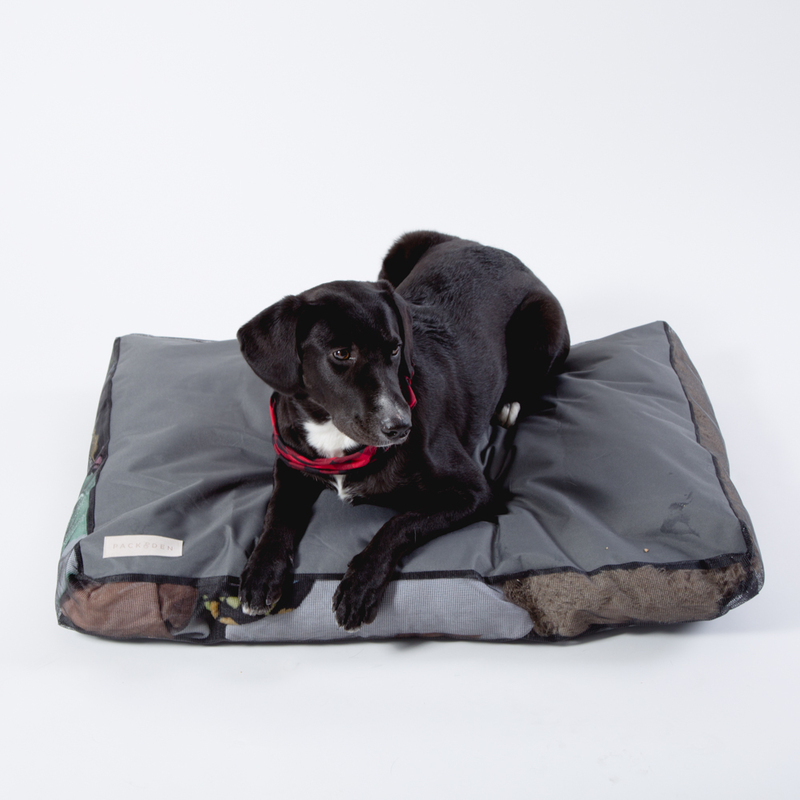 The gel pad offers cool support, but the cover ensures that your dog stays nice and comfortable. It also has an aromatherapy insert to use with your favorite dog-safe essential oil. It’ll be the place your dog plops down after a long walk to trip to the park in the summer! Does your dog sleep by your side just fine? He can still use a soft, fuzzy PACK&DEN throw of his own. Though we love our dogs, we prefer to keep his scent in the odor-trapping pouch and out of our sheets. He gets to snuggle up with you, his blanket, and the sweetest of dreams. No matter which PACK&DEN Santa tucks under the tree this season, you’ll feel good about tucking your dog into it every night! Not only are you giving him the very best in comfort and care, you’re providing blankets for shelter dogs who could use a cuddle of their own! Shop PACK&DEN in the iHeartDogs store to gift both your dog and shelter dogs, too. Do you want a healthier & happier dog? Join our email list & we’ll donate 1 meal to a shelter dog in need! Share if you enjoyed this post! Does Your Pooch Like To Smooch? The Answer May Surprise You. This Enthusiastic Dog Ran Over His Owner After Successful Agility Run! Retiring Baseball Player Thanks His Dog for His Support! Stray with a Broken Back Gets Her Wheels! These Bold Photos Take The E-Collar From “Shame” To Chic! Copyright © 2019 My Pet Channel.